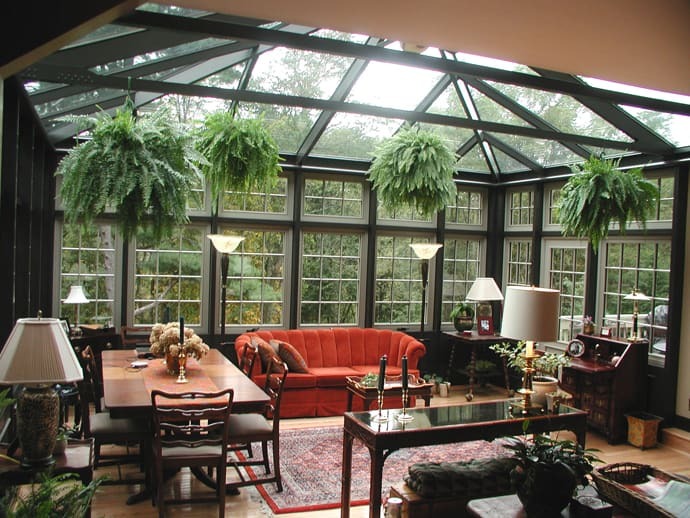 A conservatory is a fantastic edition to any home, and as soon as you have the exterior design you’ve dreamed of, you may be wondering where to start when it comes to the interior design. With any High Specification conservatory, you will want to ensure your innovative design is reflected on the inside. We’ve compiled a list of some of the best design ideas to help you start to channel your inner interior designer. What you and your family use your conservatory for will have a massive impact on how you will want it to look and feel. If it’s simply an additional room in your home, ensure the design flows with the rest of your interior; to stop the room from looking like someone has just stuck a room onto the side of your house. 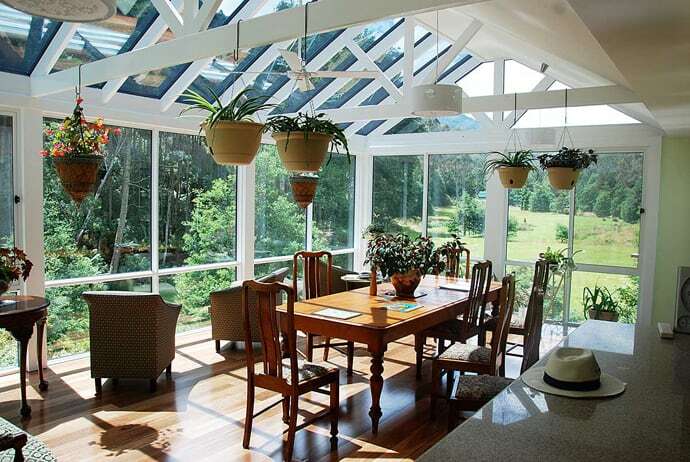 Conservatories are most popular as a ‘sun room’ – a room in which you can enjoy the sunshine from the comfort of your own home. Therefore, keep furniture light to add to the airy element of the room. Invest in some clever storage systems to eliminate clutter and to keep the feeling of spaciousness. 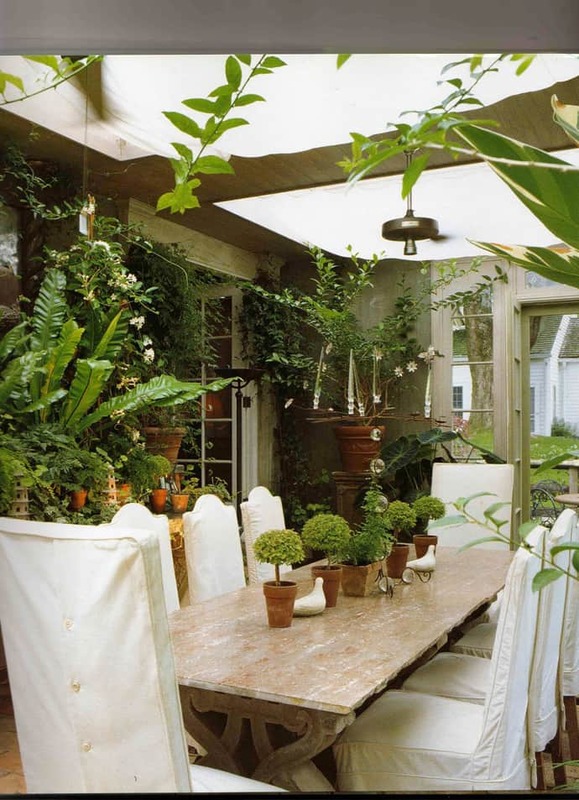 Plants also make a great feature of conservatories that are meant for sun rooms, as they add to the natural feel. However, if you aim to use your conservatory all year round, you may want to invest in a few useful items that will be good for adding an element of warmth when the weather gets colder. Rugs, mood lighting and throws are all great for this, along with candles, to aid to the cosy feel of the room. Choosing big items in your conservatory, such as flooring, furniture and lighting will be crucial for helping you to achieve your desired look. Think about whether you want the space to be traditional and classic or modern and up to date. This will have a huge impact on the pieces you chose, and aim to keep everything you’ve already purchased in mind each time you go shopping for additional items. 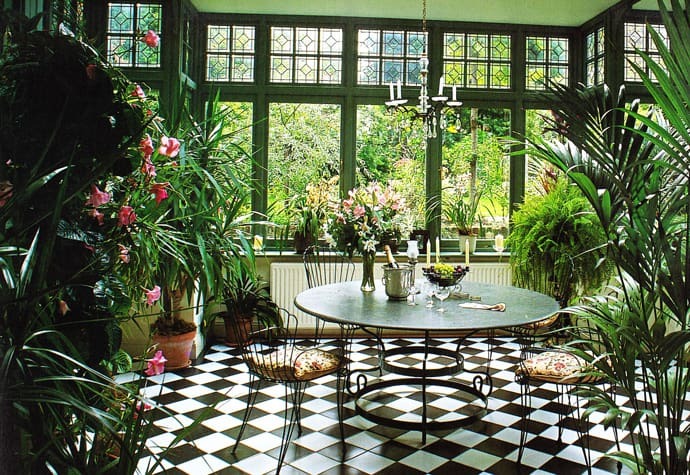 A great theme for conservatory interior design is vintage floral, as this will reflect the naturalness of the outdoors which will be so easily accessible, whilst being cosy and romantic. Select details like table cloths in beautiful floral prints and pretty throw cushions and lampshades to achieve this elegant and timeless look. If the girlie chic look isn’t for you, another popular and simple look for your conservatory is the neutral feel; combining warm wood tones with beige and brown details to add to the element of modernism and warmth. A conservatory is a great family room that all of you will enjoy, but it may take a bit of looking after in certain weather to ensure all of your furniture and details are kept looking in their prime. Consider investing in blinds for the windows to avoid the risk of your furnishings from fading and showing age. Also, think about fire safety aspects when choosing your furniture, and if necessary, ask the manufacturers for advice when having certain fittings in direct sunlight.